On Saturday evening I was fixing dinner and had a free moment, so I picked up a little book we keep on display in the dining room, Saints: A Year in Faith and Art, to see whose feast was that day. There I read about Venerable Carlo Gnocchi and was intrigued by his story. I sent Andy to the computer to see if he had been beatified or canonized yet while I made the salad and pulled the pizza from the oven. He did a little searching (what a good husband to jump at my commands!) 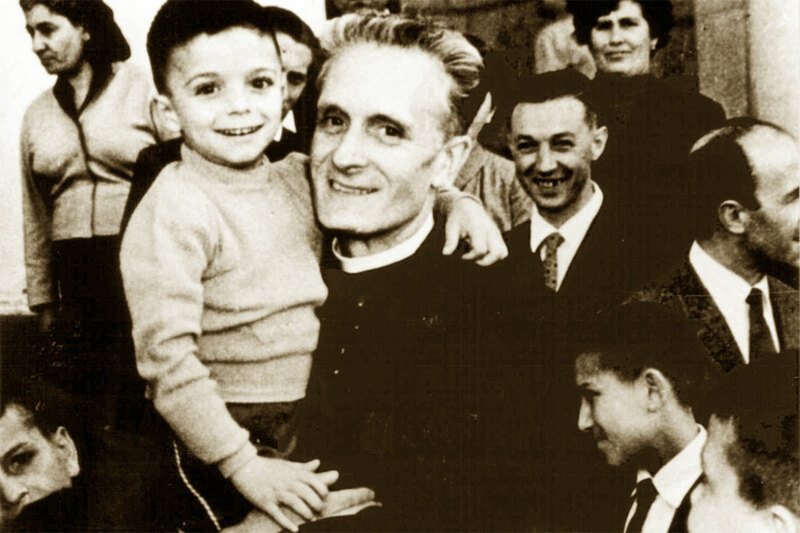 and found photos and an endearing story of an Italian priest who had been beloved by so many. It wasn’t his heroism in war or the loyalty he felt to the young men he served with, however, that caught my attention, but his efforts after World War II when so many Italian children had been left orphans, maimed by land mines and were so in need of medical care and love. That, by itself, would have been an amazing story. What endeared Bl. Carlo Gnocchi to me, though, was the theology of suffering that he taught his children. How beautiful! The children who suffer and have been taught this redemptive theology can have a particular dignity that ennobles them and helps them to see the value in their suffering. And, oh, how we do need to emphasize this point of Catholic teaching in our society today where rejection of those disabled in body or mind is the norm, whether they are born or unborn! Here I had enough to ponder and to pray about, but as God often does to illustrate a point further, I picked up another book that evening and read a passage which gave even more emphasis to the meditation. The Stations of the Cross are not given to us only to remind us of the historical Passion of Christ, but to show us what is happening now, and happening to each one of us. Christ did not become man or to lead His own short life on earth—-unimag-inable mercy though that would have been—but to live each of our lives. He did not choose His Passion only to suffer it in His own human nature—tremendous though that would have been—but in order to suffer it in the suffering of each one of his members through all ages, until the end of time. Christ, suffering in His Passion through each little one who suffers; each little one another Christ redeeming the Church through that suffering given over freely, as gift. O Blessed Mystical Body of Christ! Another dawn is rolling slowly over the hills on a frosty morning. 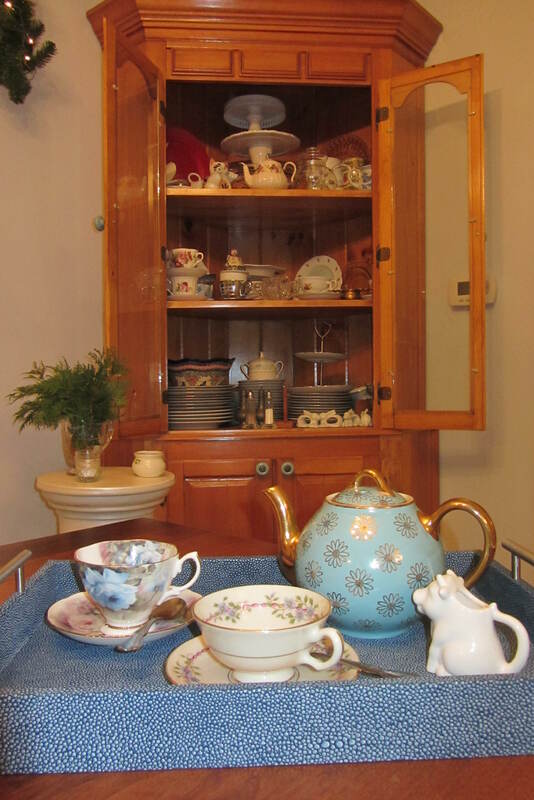 I sit inside with a cup of hot tea and take advantage of the morning quiet to write. In a little while Andy and I will dress and brave the cold and make our way down the Blandford hills and along the Westfield River to the little town of Huntington for morning Mass. Our godson Mark is with us so we will have his red-haired, five-year-old liveliness along to brighten the ride. Today is the anniversary of Tim’s baptism, and we will head for church and the presence of God to offer our gratitude for his life and the gifts of grace he was given along the way. We will pass the cemetery as we drive. Another bittersweet day. The sweetness is there, though. It is in the light of the sunrise and the remembering hearts. A large measure of that sweet peace is due to the faith we have that Tim’s story has a happy ending and an ending that has no end. Due to his learning disabilities, we spent a lot of time reading to Timothy. He loved books that had sequels; he didn’t want the story to end. When he was little we read the Little House on the Prairie books and as the years went by, the Narnia Chronicles and Tolkien’s Lord of the Rings trilogy. There was always more to come. Now Tim is in the never-ending story! Eternity means always one more chapter, and the story comes from the best book ever conceived. How marvelous! And how nearly impossible for the human mind to comprehend. All the memories we have of perfect days are of days that had a natural end. The sun sets, we say our farewells, put out the lights, and we go to sleep. Our perfect certitude that Tim now experiences eternity comes in large measure from the grace he received on the day we celebrate today. He was baptized in a beautiful sanctuary in Cranston, Rhode Island. It was dedicated to Our Lady under the title of Madonna de la Civita, a copy of a church in Italy held dear in memory by the Italian immigrants of the neighborhood. Tim was still a tiny babe, a day shy of one month old, and Andy and I had petitioned for his early baptism. We didn’t want to wait until the adoption was finalized, which could take about a year. With our eyes on eternity, we dressed Timothy Andrew in the family baptismal gown worn by his brothers at their baptisms, with his name embroidered along with theirs on the hem of the slip. We invited family and friends to witness the adoption by God of a new child of His. We dedicated this new child of eternity to the Mother of God after the baptismal rites and then we celebrated. As we do today. At Mass this morning, when the deacon read the Gospel, we heard the genealogy of Christ. In his homily our pastor referred to the ancients’ interest in genealogy and to the resurgence in genealogical research in our own day. He pointed out, though, that the only genealogy that has any lasting value is that which is ours by virtue of our baptism. We have been adopted into the family of God and by His death and resurrection we have a right to our portion of a son’s inheritance: Eternal Life. I sat and listened and smiled inwardly at another instance of God’s eternal watchfulness. We were here to celebrate Tim’s baptism, and we heard the words that would best console and inspire us. It was indeed another day to celebrate. After Mass, Mark marveled at the donkey and sheep and calves in the living nativity outside of church, much as Tim would have done even at fifteen, and then we headed back past the cemetery and on to pick out our Christmas tree. There was a thick layer of ice atop the snow and our footfalls crunched as we inspected the trees and Mark helped cut the chosen one. We remember, we celebrate and we give thanks. Each child that is born brings to us the smile of God and invites us to recognize that life is His gift, a gift that must be accepted with love and protected with care, always and at all times . 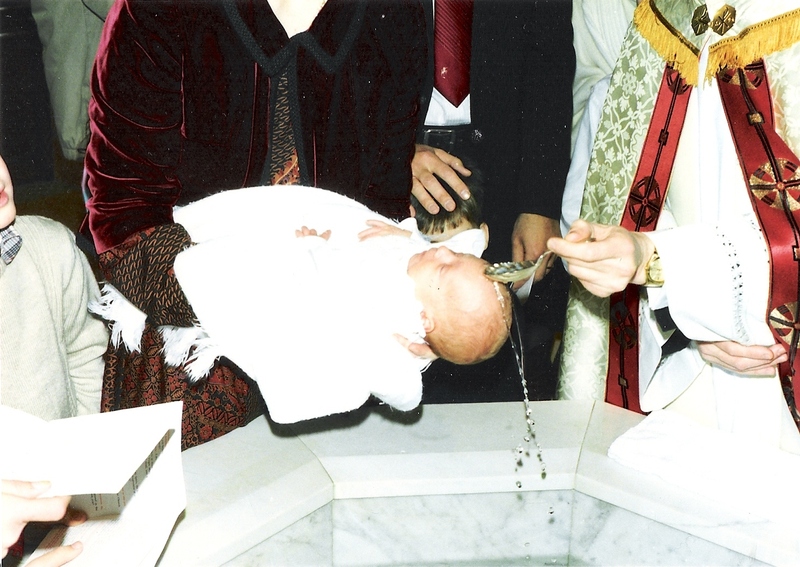 . . Baptism is adoption into the family of God, in communion with the Holy Trinity. I guess God adopted all the people just like you guys adopted me. 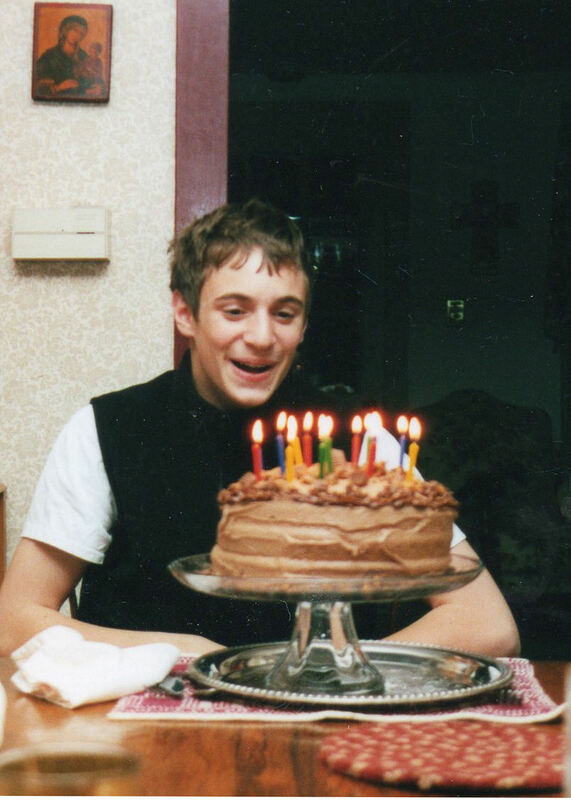 November 18, 2014 would have been Tim’s 25th birthday. I have been thinking for a while of a fitting way to honor him on that day. What do you give someone who now has everything his heart could ever desire? Of course, that is what eternity in God’s presence really is! OK, so it has to be something with eternal significance. But what? Two thoughts converged together in close proximity. First, Tim just flat out loved babies. Not just his nephews or cousins, but really any baby within holding distance. Maybe it was also a case of innocence appreciating innocence. Tim loved to hold them, look at them and make them smile. He was particularly adept at that! Second, he could not wrap his mind around the idea of anyone harming one of these little ones. No doubt that is why he viewed abortion as a great horror. He would take any unwanted babies and make room for them here. Tim’s solution was to ask God to rain down orphans on our house. He literally planned to stand outside with an upended umbrella to catch them. Oh, the sweetness of an innocent mind! The logo rather brings to mind Tim’s image of a baby in a rain drop, doesn’t it? I would love to see the site experience a veritable downpour of activity on November 18. Will you be a part of the storm? I can just imagine Tim’s huge grin! Pass the message along in any way you can think of, please! Sometimes the immediacy of an email is the right medium to express a hurried thought. 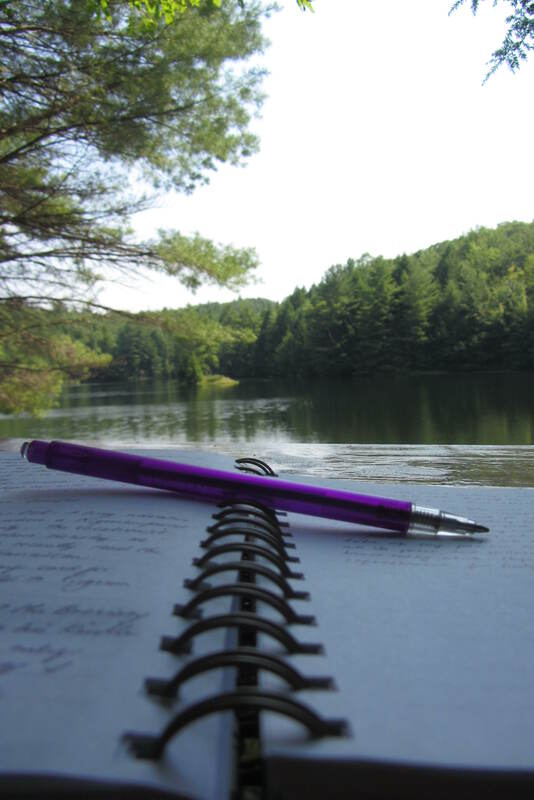 At another moment sitting down to write a letter is the best course of action. Then there are times when only the human voice can accomplish a meeting of minds. My phone rang and a dear friend proceeded to read me a poem that she thought would resonate with me the same way it had with her. I closed my eyes and listened through tears. I have always liked to cook and bake, so it seemed a natural progression to invite others to share in the finished product. After I married and had a home of my own I worked on perfecting the art of hospitality. It is often a work involving many days to get the menu to coincide with a limited budget and the guests’ needs, the flowers and table set and the house tidy enough to feel comfortable inviting guests to come in and sit down and enjoy the bounty. This month within the space of several weeks we enjoyed guests for a birthday luncheon and then Easter feasting. What a joy it has been! Besides the physical components involved in the art of hospitality I have been pondering the whole idea behind the concept. Perhaps it has something to do with my earlier thoughts on Edith Stein and intercession. This time, though, with Lent so close behind me the thoughts have paired up hospitality and betrayal. There is a certain opening up of one’s self when an invitation has been offered and the accepted. The guest is met at the door and then brought into the inner sanctum of our home and shown the favor of our ministrations in many large and small ways. How many times had the apostles and disciples been present at a meal with Jesus? Mostly it was simple fare, but the atmosphere was one of trust and confidence. Until Judas’ final act of betrayal. It is hard for me to fathom this brutal act in light of all that had been offered to him. And not just in the realm of the physical. Christ had given his love, trust, teaching and friendship. How could an apostle who was offered so much turn away his face and betray the Son of God to those who were hunting him? Ah, but how we all do the very same thing! We who have been invited to the quintessential meal, offered food fit for a king, the very “bread of angels”, betray the host with our sin, come to the meal with dirty hands, forgo the invitation or pay no attention whatever to the host. What’s more he is offering Himself for our sustenance! It is only a difference of degrees. May we all strive with a holy strength never to betray this great King and his banquet of love. May we always and ever show Our Lord, the supreme Host, our true thanksgiving for such a great gift. as we read in the first Letter of Peter from today’s Office of Readings. May you all take great delight in the feasting as the Octave and the Easter Season continue and may you offer hospitality to many as you ponder the great feast we are offered in our “daily bread”. Amen. Alleluia! bishop of Syracuse for 40 years or so. I, however, was not in Syracuse gazing up at this impressive facade, but inside a chilly church vestibule in western Massachusetts sitting at a table with a small pile of books. I remembered St. Zosimus, though, as today is his feast day. As some of you might know he is also Tim’s Confirmation patron, and I had ample time to think about both Tim and Zosimus today as I sat at my book table in between Masses, surrounded by a laptop playing the book trailer and a poster-sized copy of the book cover. I had some folks amble over to take a look at my display and sold a few books. More importantly, though, I met four families who are still in various stages of grief over the loss of their sons. They each had a different story to tell and had found different ways of coping. Each parent, though, had a sustaining faith in God that bolstered them in the dark days. Sometimes it is only possible to muddle along, to pull the shades and pray as one woman said, but the prayer to a loving God who is always there and who loves the little babies, the depressed ones and those sweet men in the grip of addictions outweighs the heavy, pressing down of sadness. Tonight I pray with the Holy Spirit for peace for all the families and I beg of Tim and Zozimus the grace of remembrance. May they and all those who live in the presence of the Most High rain down on us all the gift of perseverance and of lasting joy.